This project aims to assist pilots mitigate against the risk of mid-air collision and avoid infringing controlled airspace by improving the electronic conspicuity of VFR aircraft. 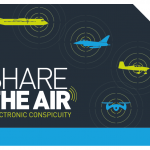 Airspace4All will continue the work undertaken as FASVIG to contribute to the development of Electronic Conspicuity in the UK, including participation in the CAA’s Electronic Conspicuity Working Group. One specific element of this project is an ADS-B trial to demonstrate the possibilities for small GA-oriented airfields to improve situational awareness for ATS staff and pilots. This trial may incorporate or collaborate with elements of other planned or concurrent trials elsewhere in the UK to help design the blueprint for wider UK adoption. 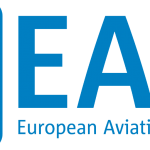 Under the auspices of the CAA Electronic Conspicuity Working Group (ECWG), in July 2017 FASVIG published a document to the ECWG entitled “FASVIG GA Airfield Pseudo Radar Trial” outlining a proposed trial of low-cost Automatic Dependent Surveillance Broadcast (ADS-B) traffic display technology by GA airfields ATS units. This was endorsed by the CAA in a public statement on 16th August 2017. Now, under the new Airspace4All banner, we propose to run the GA Airfield ADS-B Traffic Display Trial during a six month window at each airfield commencing in 2019 (subject to CAA permission). The aim of the trial is to gather evidence to enable the CAA to assess this capability and give consideration to policy change authorising use of ADS-B real-time traffic displays by GA ATS units. 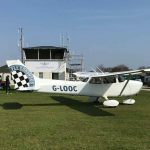 Additionally, it is hoped this trial will encourage further development of technology to support ATS provision at UK GA airfields. 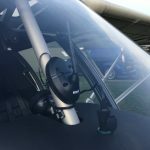 For the duration of the trial the ATS Units at three GA airfields will be equipped with real-time flight tracking equipment that provides a situational awareness tool (which is not to be used to provide any form of Air Traffic Control service). 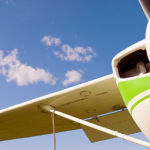 Additionally, to complement those aircraft already equipped with ADS-B Out, a number of general aviation aircraft based at the Trial Airfields will be equipped with CAP1391-compliant ADS-B Out devices. Airborne ADS-B capabilities of the CAP1391 compliant devices are outside the scope of the trial. The data transmitted by General Aviation aircraft during the trial is not assured, and has been treated as such in the safety assessment. Airspace4All has been required to create two supporting documents for the GA Airfield ATS ADS-B Traffic Display Trial which were approved by the CAA on 12th October 2018. These formal (and somewhat technical) documents explain everything about the trial. The formal risk assessment is covered by the Safety Case. These types of documents are not normally made public. However, Airspace4All wishes to maximise understanding of the trial within the GA community and has agreed with the CAA that these documents can be made public. The reader will hopefully gain some insight into what is involved in running our trial and why these activities do not come about overnight. Please note that the above documents still refer to Gloustershire Airport but Gloucester have suspended their participation in the trial. 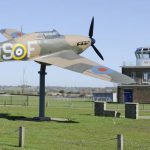 The third airfield is now North Weald Airfield in Essex. 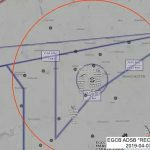 Airfield specific arrangements for aircraft operators wishing to participate in the Airspace4All GA Airfield ATS ADS-B Traffic Display Trial at City Airport and Heliport (Manchester Barton) City Airport. 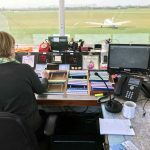 1.1 In co-operation with Airspace4All and the CAA’s Electronic Conspicuity Working Group and City Airport and Heliport (Manchester Barton) City Airport Ltd are trialling the use of a lowcost traffic display technology for GA airfield ATS units. 3.1 Only aircraft capable of transmitting ADS-B on 1090Mhz are eligible, this may be by either an integrated ADS-B out via a Mode S transponder or via a standalone CAP1391 approved ADS-B device. 3.2 Airspace4All is loaning a number of CAP1391 approved ADS-B devices to operators at the airfield. Loan of these devices will be arranged by invitation from the Airfield. 3.3 Additionally a limited number of aircraft will be permitted to transmit on a Mode S only (non-ADS-B) equipped aircraft via a separate portable CAP 1391 device which is not integrated to a transponder. This will only be permitted via special arrangement with the Airfield, NATS and the CAA. 4.1 for the duration of the trial participating aircraft are requested to use the phraseology described below. 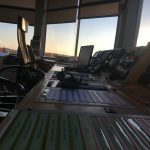 Pilots are to be aware that, whilst no ATC service will be provided, Barton Information may provide generic information based on the display to ADSB-Out equipped aircraft. This may include generic traffic information, warnings of the proximity of controlled airspace as well as warnings of aircraft approaching rising terrain in poor weather. It is emphasised that such information and warnings are not guaranteed and that the Pilot in Command remains solely responsible for the safe conduct of flight. 6.1 The trial is expected to start 1st March 2019 and will run for 6 months from this date unless otherwise notified. 7.1 The standalone CAP1391 approved SkyEcho devices do not support squawk codes and pilots are required to set the allocated squawk on their aircraft transponders. Pilots are reminded that the Barton Conspicuity Squawk (which is only to be selected when advised by Barton Information), and any other squawk allocated, or selected, are to be set only on the aircraft’s inbuilt transponder – no attempt is to be made to modify settings on the SkyEcho. Any queries with regards to this trial shall be directed to adsbtrial@cityairportltd.com or via the on site Airport Duty Manager at Manchester Barton.